GIRGEA aims to develop space physics in developing countries as part of the United Nations for Basic Space Science Initiative. Currently the main research theme is Space Meteorology. Participation in the workshop of the EPIC project (Equatorial Processes Including Coupling) of A. Kobéa (GIRGEA Côte d’Ivoire). Other schools more particularly dedicated to GNSS have been organized at the Ecole Mines télécoms ( 2012,2013,2014,2015,206,2017) and also in Rabat in the United Nations regional school (2017). Geomagnetism and Aeronomy), in 1987, that the IDC (InterDivisional Commission for Developing Countries) proposed to the international scientific community to intensify the study of the equatorial electrojet in the framework of an international project: IEEY (International Equatorial Electrojet Year), AIEE (International Year of the Equatorial Electrojet). A large number of scientific teams have expressed their intention to participate in the IAEE, depending on their interests, either through measurement campaigns or through an increased effort to model and analyse the equatorial electrojet. 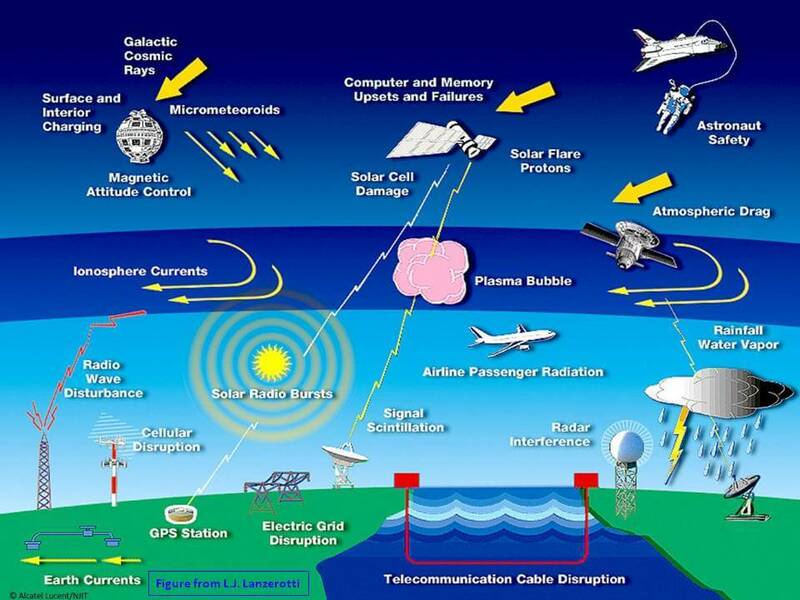 This IAEE project will be coordinated by an international scientific committee which will also ensure the link with the other international programmes WITS (World Ionosphere Thermosphere Study), LTCS (Lower Thermospheric Coupling Study) and STEP (Solar Terrestrial Energy Program). For the International Year of the Equatorial Electrojet, intensive measurement campaigns in the equatorial zone were conducted for more than 2 years, from November 1992 to December 1994. Various documents were drafted to present the scientific objectives and activities to be developed at the global level (IAGA News 28, March, 1990), then in the three sectors of longitude under which this project was structured. Americas sector: Brazilian participation in the International Equatorial Electrojet Year (1991). database / information system applied to environmental sciences. IAEA offered a remarkable opportunity for collaboration with developing countries. The scientists involved in the French project supervised students and trained technicians to ensure the start-up, operation and maintenance of the instruments implanted in Africa. Students were involved in data acquisition during the results exploitation phase. Seven theses were supported in this research group from 1995 to 2001. Continuous measurements of variations in the Earth’s magnetic field (ORSTOM magnetometer array, J. Vassal and M. Dukhan) and ionosphere parameters (CNET/PAB/PTI ionoprobe array, J. Henry, R. Hanbaba) were made. These measures were continued until the end of 1994. The CEA/LDG ( E. Blanc, T. Bourret, E. Houngninou, A. Lavedrine, B. Tissot, D. Raoux) organised ionospheric parameter measurement campaigns at the Korhogo site from March to July 1993 and during October and November 1994. The IPGP (Y. Cohen) has been providing continuous measurements of variations in the Earth’s magnetic field with an array of three magnetic stations since 1998. UCL (D. Rees) set up an interferometer at the Korhogo site which took measurements from November 1994 to May 1995. This instrument is currently being upgraded. Two geophysics training schools were held in Paris in April and May 1992 in Abidjan in October 1995. A database has been developed. The organization of the database, the list of participants and the catalogue of data for the 3 sectors of longitude Africa-Europe, Americas, Asia was published in 1996 (Amory-Mazaudier et al., 1996). In the Africa-Europe sector, the organisation set up, as well as the newsletter (C. Amory-Mazaudier, J. Bouvet, P. Vila) distributed every 2 months, then every quarter, stimulated all participants. This newsletter has been sent regularly since May 1992. At the international level, the French group (A. G. Onwumechili and C. Amory-Mazaudier) organized IAGA session 7.1 devoted to the International Year of the Equatorial Electrojet project in 1993 in Buenos Aires (Argentina), 1995 in Boulder (USA) and 1997 in Uppsala (Sweden). Within the framework of the AIEE project, measuring instruments have been financed by the Ministry of Foreign Affairs, the CNET (Centre National d’Etude des Télécommunications), UCL (University College of London) and the CNES (Centre National d’Etudes Spatiales). These instruments have enabled the creation of observatories in Korhogo in Côte d’Ivoire and Dakar in Senegal to study the magnetic field at the equator, the ionosphere and the equatorial atmosphere. These observatories will make it possible to anchor geophysics in Africa in a sustainable way. Our network which at the beginning was essentially between Europe and Africa has become global thanks to international projects such as IHY (International Heliophysical Year 2005-2009) and ISWI (International Space Weather Initiative 2010-2012). From now on the ISWI network (http://www.iswi-secretariat.org) is sustainable and GIRGEA is part of it. Development of new university curricula in the countries of students who have become doctors.